The carefree path to consistently great pictures. 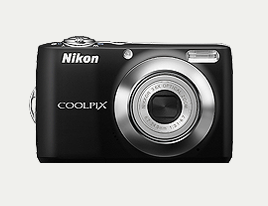 Easy Auto Mode simplifies photography to the degree that you can simply turn on the camera and start shooting. Its Scene Auto Selector function determines range, lighting and subject type before automatically selecting the appropriate scene mode to achieve optimum results. 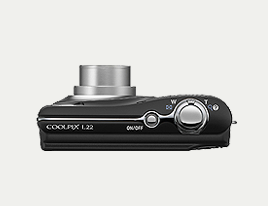 The Smart Portrait System for the COOLPIX L22 offers a lineup of four advanced functions that help produce consistently great portraits. These include Face-priority AF, Smart Portrait Mode, Blink Warning, and In-Camera Red-Eye Fix. Nikon's Electronic VR image stabilization and Motion Detection compensate for camera shake and subject movement. 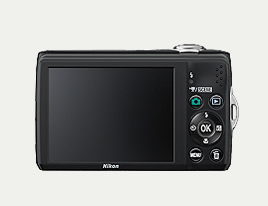 And, Nikon’s original BSS (Best Shot Selector) function offers automated assistance for achieving sharp results. *The camera selects and uses only the features required to optimize each image. *Recording stops automatically after 29 minutes, or after the file size reaches 2 GB. This figure is based on in-house testing standards and stated for recording at 25°C (77°F) with AA-size alkaline (LR6/L40) batteries. 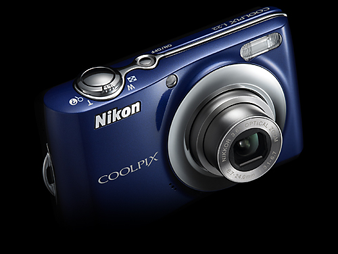 Actual results may vary greatly depending on factors that include differences in ambient temperature, and the amount of zoom and autofocus operations used.